Let's Do It for ME! : TopCashback - Raise money for free. TopCashBack is the UK's most generous cashback website and is recommended by Martin Lewis of MoneySavingExpert. 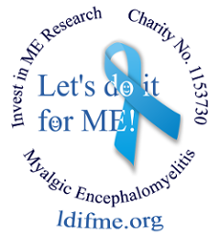 So if you buy on line this a great way of earning money for Let's do it for ME / Invest in ME's Biomedical Research Fund. With really great offers and the highest percentages paid out each time you by online. Over 3300 online merchants and it's completely free. No Strings - No catches - No Spam. Start earning money now by sign up here TopCashback for Invest in ME.